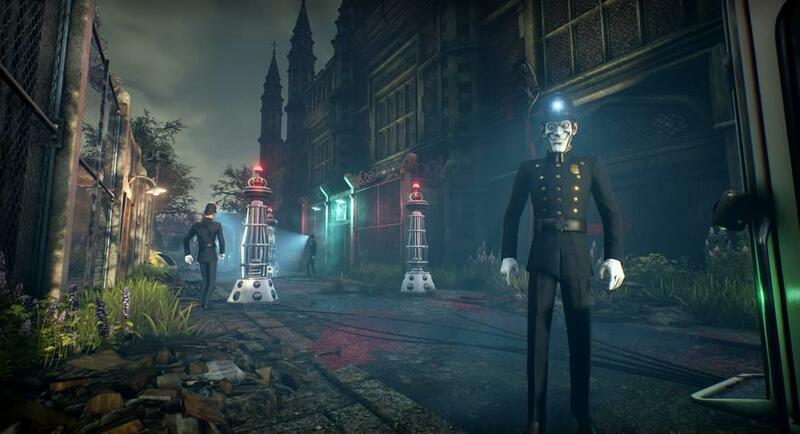 Presenting tastes of ideas plucked from the vines of great works of literature and film, We Happy Few from Compulsion Games, is a story-driven survival game that follows the residents of Wellington Wells and its surrounding villages, in an alternate history version of Great Britain in the year 1964. 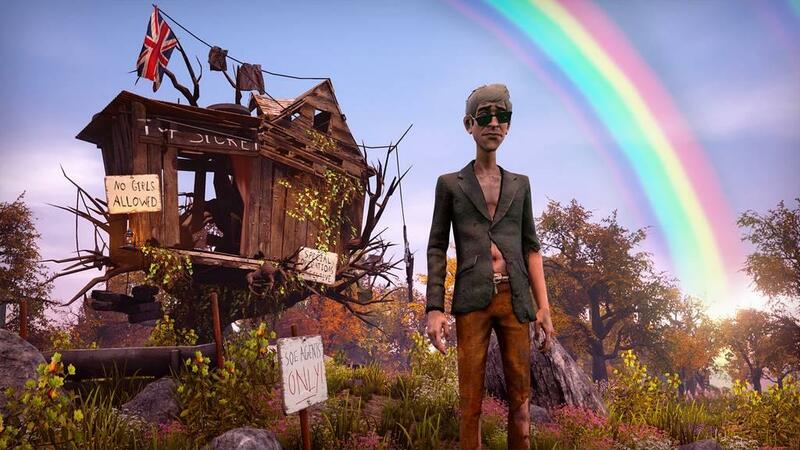 Although Compulsion Games is a Canadian development studio, they sell the British conceit of the game’s setting near-perfectly. Except for perhaps some contemporary literature, I’m not an expert on anything British at all. 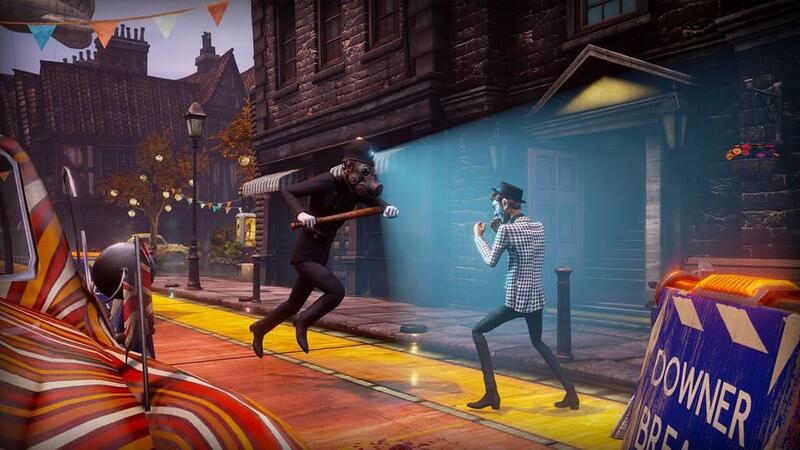 Following in the tradition of many twentieth century British writers, the game’s plot has the player attempting to escape the pseudo-totalitarian grip of Wellington Wells, which controls its citizens through the use of a narcotic called Joy, as well as various uses of oppressive local militia, bobbies, and military officers. Playing through this, I was constantly amazed at the world that Compulsion has built. Combining the Counter-Culture movement with oppressive totalitarianism, it makes for a delusionally quirky take on the genre. But unlike many takes on it, the player has many tactics to get around the world, including stealth, combat, and, perhaps most importantly of all, fast travel. One of the prompts on the loading screen states that stealth is a better method than hurting people, but talking and acting like them works even better than that. So already, conformity is a big thing in the game. However, there isn’t all that much nuance to conforming within the game’s environment. Depending on the difficulty, amount of skills acquired, whether the game glitches out on you, and the way you play, it can be a breeze or a headache. There is no comprehensive dialogue and world-effecting system in this game. If you walk and don’t run in Wellington Wells, obey no trespassing warnings in the surrounding villages, and generally don’t act like what folks might think of as a crazy person, then you can navigate the world fine. But even if you do all of those things, and people start chasing you, you can just run away and hide. Even if you’ve killed someone, as long you wait them out long enough, you’ll be fine. 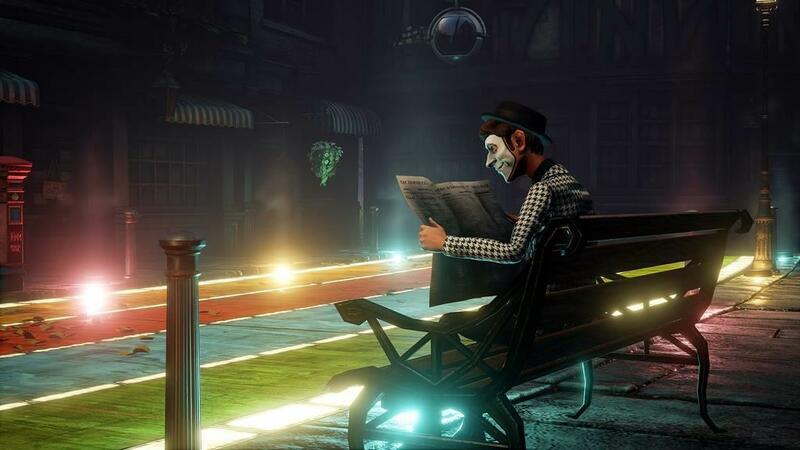 This is immensely convenient and, although it makes gameplay that much easier, it doesn’t hide the fact that We Happy Few breaks its own rules. This isn’t necessarily a complaint, as it would really stink if I couldn’t get through an area or complete a quest because too many people noticed me jumping around or sprinting in Wellington Wells, or if a bunch of citizens just kept chasing me because a crossed a private property line in one the Holms in the surrounding countryside. Again, I appreciate being able to go about the game uninterrupted, and there are certain game-logic applicable ways that you can get around being harassed in the street (which would negate this if it weren’t for the following point) but the pressure of living in a totalitarian society tends to fall flat when I can just skamper off to my safe house and everyone pretends like nothing has happened. That doesn’t mean there aren’t failsafes within the world that can catch you when you’re off-guard. For instance, if you aren’t taking enough Joy and you linger too long around people, they may take notice (it didn’t happen with me though, I was too high). Or if you pass through a Downer Detector (light beams that track whether you have any Joy in you) bobbies and townsfolk may come after and beat the life out of you. There are also plenty of other devices, ranging from giant stationary robots, to security balloons, that pose various threats. That’s how stealth became my favorite mode of operation in this game. Although it’s not necessarily stealth like you’ve never seen it before (imagine that: a stealth game with British sensibilities), it works. 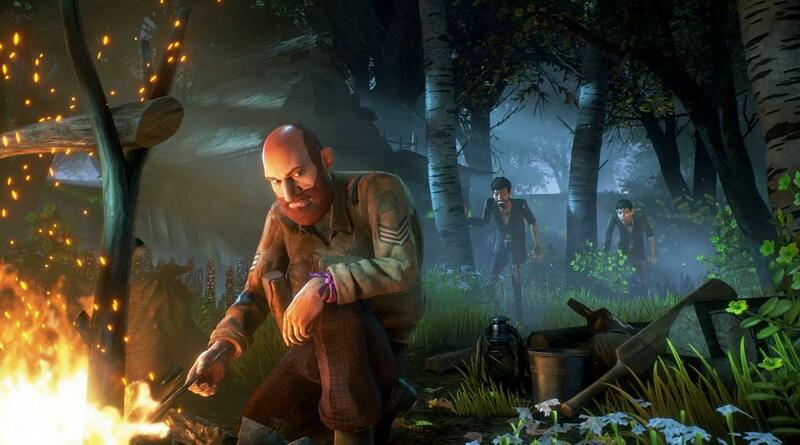 The game’s crafting system also allows you to create shoes that sneak quieter, suits that conceal you in shadow, and plenty of gadgets that let you hack, bludgeon, or slash your way to success, making for a comprehensive approach to that side of gameplay. 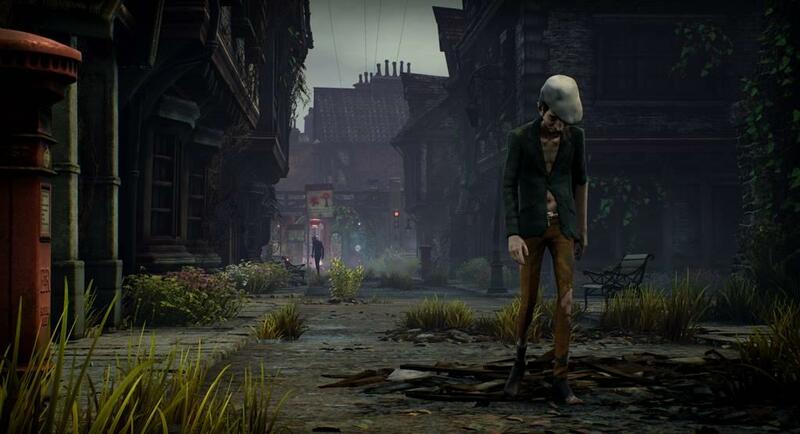 The same set of non-rules that apply to waking, normal life portions of the game also apply to the stealth parts; if someone spots you, run away or hide. The saving grace to this point, however, is that it’s a stealth portion. The thrill of being chased, hiding from your enemies, is what makes the stealth so exhilarating, and the smugness at either not being caught or taking out an entire squad of bobbies provides an immense satisfaction. 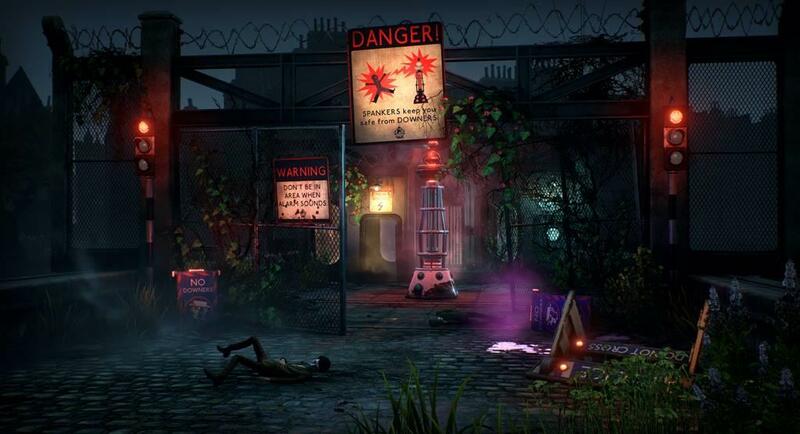 But in the case you are caught, and there isn’t anything you can do about it, the game has a quality combat system to aid the player in escaping hairy situations. The weapons are many, the weapons are deadly, and best of all, the impacts feel like they hit flesh and bone when you make contact. From tree branches to axes, to pipes made over with spikes and live wire, the tools at your disposal to dispense with those in authority (or the average citizen) are awesome and terrifying. You (and your enemies) can block, shove, counter, power-up a swing, and combo your way to victory. Your stamina factors into this, playing a role similar to the system in Skyrim. There are also numerous other health states, such as bleeding and infection, that can affect how your character fares in the world. It’s just short of complex, and in addition to the stealth mechanics and the world-building, rounds out the most positive contributions of the game. If only I could dazzle as much on the game’s story and performance as I did on the other systems. The story that I played followed Arthur, a press censor whose routine is broken when he comes across a newspaper story that jogs a long-buried memory. There’s really no equivalent descriptors I can use to adequately describe his story aside from saying he literally becomes Woke, and realizes what sort of delusional hellhole he’s been living in his entire life. Everyone he knows is sedated on Joy, the narcotic that blinds everyone to their past history, as well as how terrible the world really is. And if people find out you’re off your Joy, they don’t take kindly to it. Arthur’s story, although taking place in a well-established world, is pretty weak. He journeys all over the game world, running all sorts of errands, in his attempt to leave. Character relationships are few and far between, and when they are fleshed out, they’re so underwritten that I don’t even care. This is exacerbated by the fact that, in its current state, on at least the standard PS4 that I used for review, the game can be nearly unplayable. Random crashes, clipping, and even disabling of button uses abound, and it’s terrible. 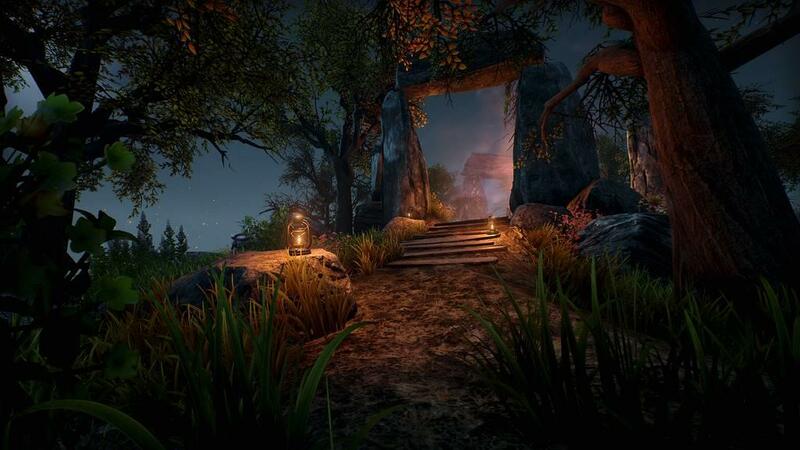 It amazes me that a game that spent nearly two years in Early Access released in such a state. Heck, even the loading screen lags (also, the loading screen needs a loading screen. I’ll give it a pass for now, but oh is it infuriating when you have to keep launching the game after it crashes ten times and you have to go through five loading screens just to get back to where you were trying to go in the first place). Perhaps the most egregious instance came towards the endgame parts of Act I. My jump button was disabled at a point where the very thing I had to do to progress was to jump, so I saved and quit, but each time I tried to load, the game crashed. So I loaded and earlier save, but then was unable to save my progress from then on out. Luckily, I was able to complete Act I, but upon starting Act II, my save file became corrupted, and the game forced me to start all over again. I haven’t started over yet though, and I don’t plan on it. In short, this game is a technical mess, and it’s hard to digest the ideas that the writers are trying to put forward when the game doesn’t let me. I know that developers work hard to make their games playable, but I don’t understand that if this was technically on digital shelves for two years, why the wrinkles haven’t been ironed out for the physical release. It is an unfortunate disappointment. The ideas of power, giving in to hegemonic cycles just to feel safe, and other gameplay systems are unfortunately overshadowed by the technical hiccups found in the game's software. It's a shame, because this game could have been good.